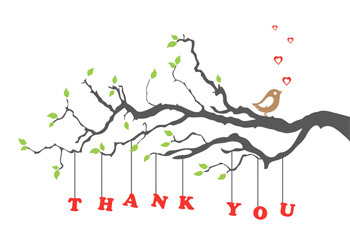 A huge THANK YOU to Nathaniel Glickman and members of the UVic Ancient Forest Committee for organizing a fun and successful fundraising night with a first rate line-up of local musicians (Moonshine Gang Victoria Chapter, (as the) Crow Flies, Redwood Green, Co-Captain, and DJ Rough Child) on Saturday’s 3rd Annual “Tree Huggers Ball”! The event raised a total of $4800 for our young organization that depends on grassroots support to stay afloat! Big thanks as well to Amanda Cook for donating nearly $400 in proceeds from sales of her “Stand up for the Coast” t-shirts! Join a team of environmentally-minded volunteers organized by the Ancient Forest Alliance and the UBC Ancient Forest Committee for a massive “info blitz” in Premier Christy Clark’s riding of Vancouver–Point Grey to help save ancient forests and ensure sustainable forestry jobs. SAVE OUR CLIMATE AND ANCIENT FORESTS! See great speakers, have a drink, meet other supporters, and make a donation if you can! B.C.’s new Minister of Forests, Mines, and Lands, Pat Bell, leaves tomorrow for a trip to China to talk lumber. Not everyone though sees the potential business as good for our province. Co-founder of the Ancient Forest Alliance, Ken Wu, sees problems ahead. Canada’s Largest Spruce Tree – The San Juan Spruce! Seen here is the San Juan Spruce tree. It is Canada’s largest spruce tree and the second largest in the world! It grows on Vancouver Island alongside the San Juan River about 35 minutes from Port Renfrew, BC. The towering tree measures 38.3′ in circumference, reaches 205′ tall, and has an incredible wood volume of 333 telephone poles! 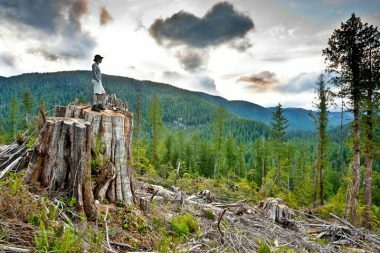 Despite all of this the tree and surrounding forest has not been afforded any legislated protection from the BC Liberal government. We are calling on the province to protect the area of forest, both old-growth and second growth, from the San Juan Spruce to the nearby Red Creek fir. 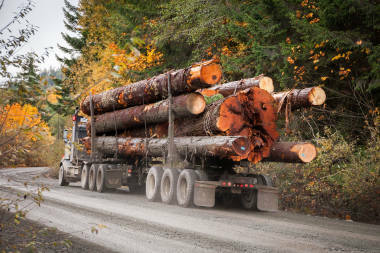 “Time is running out for our endangered old-growth forests and B.C.’s coastal forestry jobs,” said AFA campaign director Wu in a press release. 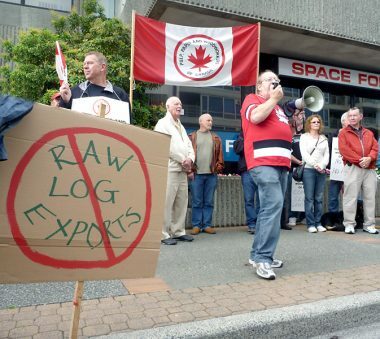 On September 16, in a seemingly unlikely event, the Ancient Forest Alliance stood in solidarity with members of the Pulp, Paper and Woodworkers of Canada and the United Steelworkers union in Nanaimo as part of the ongoing fight to ban raw log exports in BC. AFA forest campaigner TJ Watt spoke alongside union officials Nanaimo MLA Leonard Krog and Nanaimo-North Cowichan MLA Doug Routley to the hundreds of workers in attendance, denouncing the export of raw logs and calling for the protection of BC’s threatened forestry jobs. 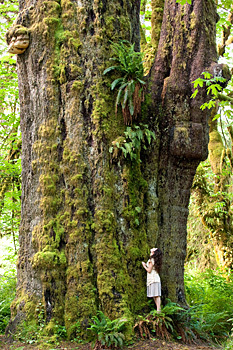 The Ancient Forest Alliance (AFA) launched a campaign today to get 100,000 British Columbians to sign a petition (see www.ancientforestpetition.com) calling on the BC government to protect the province’s endangered old-growth forests and forestry jobs. 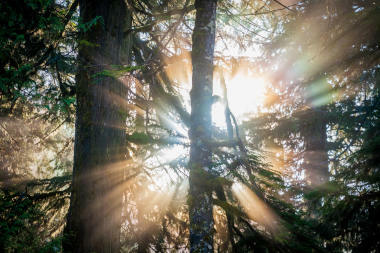 The “100,000 Strong for Ancient Forests and BC Forestry Jobs” public education and mobilization campaign will be the largest grassroots mobilization effort undertaken by BC’s ancient forest movement since the Clayoquot Sound campaign of the early 1990’s.